now i’m labeling, labeling, labeling! and packing of course. more photos in my flickr stream. 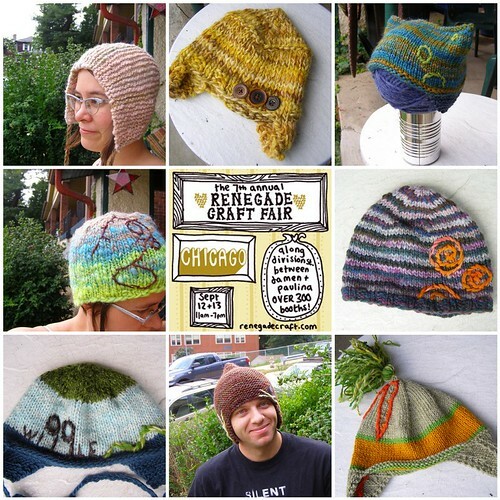 and a couple of notes: the carrot hat had been in my brain forever and i finally got it done. the potato hat is some of my first drum carding. i didn’t like it much until i added the potatoes. and you should go to flickr and check out the button on the pink bonnet – it’s one of my favorites ever. see you all on the other side of chicago, or in chicago… there might be photos of yarn/labeling/snow bunnies later today. I adore the carrot hat! Good luck in Chicago! Good luck and have fun in Chicago!